The mobile network operators have signed up to support and implement SIM-based NFC in a move the GSMA says will “promote the global interoperability of services and accelerate time-to-market”. 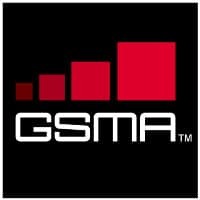 The GSM Association announced at its Mobile Asia Congress that it has commitments from 45 mobile network operators worldwide to implement SIM-based NFC. Both China Mobile and China Unicom, the two largest mobile operators in China, have also agreed to support SIM-based NFC — completing a shift for China Mobile from its earlier position on the technology. GSMA director general Anne Bouverot commented, “With the increasing deployment of commercial SIM-based NFC services in a range of markets worldwide, it is critical to embrace common standards that will promote the global interoperability of services and accelerate time-to-market”. The 45 mobile network operators signed up to “support and implement” NFC are América Móvil, AT&T, Avea, Axiata, Axis, Bharti Airtel, Bouygues Telecom, China Mobile, China Unicom, CSL, Deutsche Telekom, Elisa Corporation, Du, Etisalat, Everything Everywhere, Globe Telecom, KPN, KT Corporation, Maxis, Mobily, MTS, Orange, Proximus, Qtel Group, Rogers Communications, Saudi Telecom Company (STC), SFR, SK Telecom, Smart, Softbank Mobile, Telecom Italia, Telecom New Zealand, Telecom Slovenije, Telefónica, Telekom Austria Group, Telenor, TeliaSonera, Telus, TMN, Turkcell, Verizon, VimpelCom, Viva Bahrain and Vodafone Group. Great to note the move towards a global inter-operable solution in the NFC field.